An Lár TV is what YouTube would be, if it were organized, curated, and on a schedule. Oh, right: and Irish. They've been kind enough to add some of my newest videos to their rotation; head over and have a look-- at those and all the other interesting stuff they're webcasting. Other than that, it's been rehearsals, rehearsals, rehearsals, and other less life-affirming preparations for all the great events coming up. Here's a list; details are under "Events," below. Celtic Sunday Brunch is a two-hour radio program that broadcasts every Sunday from 11am to 1pm ET (GMT -5), on the air at 89.7 FM and streaming live at wdvrfm.org. I host the first show of every month (and the fifth, when the calendar falls that way). I'll have Facebook and Twitter open during the show; feel free to send thoughts and requests! A two-stop Celticclesiastical tour, evangelizing the (reasonably) Good News about Irish trad music (i.e., that it's got a groovy beat and you can dance to it). Both are fundraisers for non-profit causes; each has different repertoire and personnel. Can I get an Amen! WDVR's Big Irish Show and Supper Featuring Ed Saultz and Friends I think I'm conscripted to (get this) do sound engineering for this one, but maybe I'll be able to hit the autopilot button for the final hour and join the closing seisiun. (Speaking of which, bring your instrument, because you're welcome, too!) Proceeds go to WDVR-- so come one, come all; nonprofit community radio and live traditional music both need your support! Hobnail in New Hope, PA: Eight hours of the finest Irish and Irish-sounding music you're ever heard-- or (perhaps) crossed the street to avoid. I do my best to attend these, but you'll have a great time regardless. Frenchtown NJ: Second and Fourth Sundays at the River Blue Café, 1pm to 4pm. Remember: Cancellations happen—please check in before heading out! Martin Hayes and John Doyle: If you need me, I'll be in my dressing room, sobbing. Jennifer Johnson: Midnight Blue: Jenn is a local artist (local to me, anyway), and a friend. I couldn't play her new record on The Brunch-- it being jazz and all-- but I can recommend it here. Celtic Sunday Brunch with Walt Haake: In addition to recruiting me to WDVR and showing me a large number of the ropes down at the station, Walt gave me the idea of recording and posting my radio shows. Listen to the master at work, on the February 12 broadcast. Thanks as always for being on my mailing list; I know how much email we all get, so I'm grateful for the opportunity to stay in touch like this. All of my stuff, new and old, solo and collaborations, is available for purchase at all performances or online. Remember: Members of my mailing list get a 20% discount on everything I have for sale online at Bandcamp. Join the mailing list to find out how. Source for heading banner photo: http://www.flickr.com/photos/cogdog/4270950372/. Except where noted, all images are licensed via Creative Commons (http://creativecommons.org/licenses/by/3.0/). Full disclosure, if you're not already aware: The singer for Turlough is David Yeates, who is a dear friend of mine and was the singer for Four to the Bar, who we heard earlier. But I think you'll agree that he's got a great voice that deserves to be heard, and I just love that version of the song, "A Parcel of Rogues." You can find Turlough on Facebook. I think there's a link to their website there. Search for T-U-R-L-O-U-G-H. That's Turlough, featuring David Yeates on vocals. Now we've got something from another local artist, named Heather Mulvey. This is called "Red Is the Rose," another old standard that we never get tired of. It is from her album, released in 2008, called "Flowers from the Mountain," here on WDVR 89.7 FM in Delaware Township NJ. Heather Mulvey: "Red Is the Rose"
Once again, local artist Heather Mulvey, doing "Red Is the Rose." "[He] sang like he meant business. He didn't get fancy and he didn't send his voice on missions it could not complete, but there was an urgency in his best songs that pounded them home. When he sang something, it stayed sung." I am so heartbroken: No one has emailed me, or posted anything to Twitter or Facebook, to take even a stab at this. Anyway, I bring this up because I thought of that quote when I heard this next track recently. You'll know right away who's singing; and I won't even tell you the name of the song; I'll just dare you to ever listen again to this song the same way. Julie Fowlis: "Bodaich Odhar Hoghaigearraidh"
What a voice; what a melody, but for the life of me I don't have the slightest idea what that one's about. It was called but a kyoh er ho ee herr ee. And how do I know that? By listening to the chorus about 40,000 times, over and over and over again, and jotting down the syllables that I heard. It's in Scots Gaelic; if there are any Scots Gaelic scholars out there, you're welcome to give me a shout here and let me know what that was all about. In the meantime I got an email from my friend, Linda, who has made a request that I unfortunately cannot fulfill at this late hour. She wanted to play something in support of the Giants; I'll tell you what: Let's pretend that "Bodaich Odhar Hoghaigearraidh" means "Go Giants." How's that? Anyway, speaking of Scots Gaelic, and speaking of Scots, I hope you all had as good a time as I did last weekend, honoring Robert Burns, Scotland's patron saint and genius scoundrel. On Saturday, I was at a terrific Scotch whiskey-tasting party with dear friends down in Lambertville, and on Sunday I had the pleasure of joining the very talented Mark Stewart and Tommy Burns to provide the musical entertainment for the Second Annual Robert Burns Supper at Spain 92 Restaurant, out in Raritan NJ. Another interesting thing about Spain 92-- again, it's just amazing, the Celtic connection out here in the wilds of Hunterdon County-- the restaurant where the event was held: Sergio Seijas (I hope I'm pronouncing that right-- that's the second time my inadequate Spanish skills are being on display), one of the owners of Spain 92, is from northwest Spain, an area called Galicia. And Galicia is culturally Celtic, believe it or not. So not only is Sergio is the first Spanish Celt I've had the pleasure to know, he also hosts an unforgettable Robert Burns Supper, in kilt and full regalia and everything. As I mentioned, this was their second annual Robert Burns Supper; I don't know if there are plans for a third, but I'd be surprised if there weren't, and I'm sure they can let you know if you give Spain 92 a ring. Their website is spain92.com; I don't have their phone number, but the phone number will be on the website. I am shamed: I thought that in that version of "Danny Boy," the singer would be obvious, but I heard from Barbara in Flemington and Bernice-- actually the same Bernice that I announced earlier on-- and I think one recognized Johnny Cash, but didn't recognize the quote, and the other found the voice familiar but coudn't place it as Johnny Cash. For the record: That was Johnny Cash doing "Danny Boy," and reminding us that, for all of the cheesy plastic versions that are done on St. Patrick's Day, that is really just a remarkable song. We are running short, and I've got so much that I want to play for you. So let's stop the chit-chat. Here are the Waterboys, doing "The Raggle Taggle Gypsy" from their Room to Roam album, released in 1990. The Waterboys: "The Raggle Taggle Gypsy"
Once again, that was the Waterboys doing their version of "The Raggle Taggle Gypsy." This next song is, regrettably, the last one before I have to hand you over to Barb and Tin Pan Alley. The song is called "The Golden Jubilee," and I have to make a confession that this is one of my guilty pleasures: I mentioned cheesy versions of "Danny Boy"; well, this is as corny and cheesy and stereotypically "Paddy Irish" as they come, but there's something about it that I do like enough to kind of forgive everything else about it. There's a tenderness and affection hiding in there, maybe that's it: The kind of love that comes after 50 years of marriage, which is what the song discusses. So, I will leave you with that affirming thought-- and this song. It strikes me as a good way to part company until next time. Thank you for joining me today on Celtic Sunday Brunch, whether via radio or the web. Once again, on the radio we;re at WDVR-FM 89.7 in Delaware Township NJ, and on the web we're at wdvrfm.org. Don't forget: I'm here on "first Sundays" and-- something new-- when there's a fifth Sunday in the month I'm schedued to be here as well. My next scheduled show is March 4; I hope you will join me then. Don't forget that in the meantime, Celtic Sunday Brunch is here every Sunday at 11am (US ET), at WDVR 89.7 FM and wdvrfm.org. Also in the meantime, feel free to reach out to me personally at PatrickClifford.com; that's my website and it's got all kinds of crazy links and stuff like that there. So here is "The Golden Jubilee." Slan agat and God bless. Various Artists: "The Golden Jubilee"
OK; as I left you at the end of the last segment, I said that I would have a brainteaser from Roger Ebert. So, welcome back, to the second half of Celtic Sunday Brunch. Here is a quote from Roger Ebert that-- I want you to guess who he's talking about. The quote is from 2005. Now, who was Roger Ebert talking about? Send me your responses by email at host@wdvrfm.org, or at twitter.patrickclifford.com or at facebook.patrickclifford.com. We'll give it, say, 20 minutes or so, and then I guess we'll acknowledge our winners, and then we'll hear something from the artist in question. I just wanted to let you know: One of my motivations for taking on this job was the opportunity to share new music. I mean, I love the Chieftains as much as anyone (we've already heard from them today in fact, and will hear more), but you can hear those guys on any Celtic program anywhere around the globe. What you CAN'T hear just anywhere is music like this next track, from Jennifer Johnson, an artist from right here in the Hunterdon County NJ area. Jenn has just released a great new album of jazz tunes, called Midnight Blue. Regrettably, this being a Celtic show I'm going to leave it to other DJs to give her jazz record a spin, but I can share with you a lovely track from her previous album, called My Secret Garden. This is "Bright Blue Rose," a song written by Jimmy MacCarthy, one of Ireland's best contemporary songwriters. Right here, on WDVR 89.7 FM. Jennifer Johnson: "Bright Blue Rose"
Once again: Jennifer Johnson, a local girl (local woman, excuse me), singing "Bright Blue Rose," a song written by Jimmy MacCarthy. I forgot to give you Jenn's website address, which you will want if you want to hear more of that kind of stuff. Her address is jajohnsonmusic.com. You may also know the name Ry Cooder. Ry Cooder is one of America's great folk/vernacular -type musicians and, I think it's fair to say, musicologists. He made a big splash a few years back with an album called The Buena Vista Social Club-- excuse me; my Spanish skills are less than optimal-- for that album he went to Communist Cuba and recorded and performed with a bunch of Cuban musicians who'd been kind of fostering their own folk music in a closed ecosystem, down in Cuba. It was very interesting to hear what developed without the influence of "cross-breeding influences," like you get between the United States and the European Celtic countries. Anyway, here is Ry Cooder in collaboration with our old friends the Chieftains. The Chieftains-Ry Cooder: "Sailing to Mexico"
Well, they caught me short there; I was just on the phone with a good friend of mine out here in Hunterdon County, Jerry, who's a frequent visitor at the Irish Music Seisiun in Frenchtown. I might as well take this opportunity to tell you about that. Every second and fourth Sunday in the River Blue Cafe on Bridge Street in Frenchtown NJ, a group of people just like the people who are listening to this show get together, and we have cups of coffee, and sometimes lunch, at the wonderful River Blue Cafe, and we listen to and/or play Irish traditional music. And, as with all seisiuns (that I attend, anyway), it is a very friendly and supportive atmosphere. I tell people about this, and they say "well, I play the bodhran," or "I used to play tin whistle, but I'm no good and I'd just ruin it," but that's not the way to think. This is a great bunch of musician, the skill level is very very wide: We've got very skilled people to absolute beginners. It's very patient, very supportive. So if you are a musician of any calibre, come on down to Frenchtown on the second and fourth Sundays of every month, to the River Blue Cafe, or if you just want to hear some great amateur Irish music, you're welcome there, too. So Jerry was just phoning in his support of the Chieftains: "More Chieftains," cries he. We may have some cued up; in any case, the Chieftains are of course kind of the "protein and starch" of any Irish traditional music meal, so never fear: There's always going to be Chieftains on tap. Here is "Any King's Shilling," by Elvis Costello. This is off of his album, titled Spike, which was released on Valentine's Day in 1989. Elvis Costello: "Any King's Shilling"
That was Elvis Costello, with a band of superstars behind him, doing "Any King's Shilling," from his album Spike. In February 1992, 20 years ago this month, an album called A Woman's Heart was released. It was an absolute blockbuster at the time, and this next song, the title track, by Eleanor McEvoy, did particularly well. Eleanor McEvoy: "Only a Woman's Heart"
Once again, that's Eleanor McEvoy, doing "Only a Woman's Heart," from the 1992 album titled A Woman's Heart. So, coming up-- I'm a little late getting back to you on that Roger Ebert quote-- we'll find out who Roger Ebert was talking about. I mentioned earlier on my old band, Four to the Bar. Well, we'll find out what Four to the Bar's singer has been up to. First, these messages. The Narrowbacks: "Dirty Old Town"
And that was "Dirty Old Town," by a band called "The Narrowbacks." They are a relatively new band from Pearl River, NY (our neighbor up there to the north), and that was an exclusive preview from their forthcoming album, as yet unnamed. The Narrowbacks currently have a 5-song EP available for free (and perfectly legal!) download; if you're interested, you can find more information by going to their website, which is TheNarrowbacksNYC.com, and click on the Contact/Booking link; you'll find information there. Speaking of websites and all things internet-related, I just want to remind you that I have my Facebook and Twitter pages open, I'm accessible by email... the Facebook page is facebook.PatrickClifford.com; Twitter is twitter.PatrickClifford.com (I'm trying to make it easy for you guys), and the email address here at the studio is host@wdvrfm.org. Now, moving on: There are a few artists that I'm in constant danger of overplaying on this show, and Paul Brady is one of them. I guess I have to put myself on a Paul Brady diet; for the one Paul Brady song I'm allowing myself today, I thought I'd pick one in honor of Valentine's Day, which is of course just a few days away (hint, hint, lads; get out the old chocolates and roses there). This is "Mary and the Soldier," a song from another long tradition, of a young girl falling for the charms of a man in uniform. Lucky for Mary, her story has an atypically happy ending. Here's Paul Brady with Andy Irvine, on WDVR-FM 89.7 in Delaware Township NJ. Andy Irvine & Paul Brady: "Mary and the Soldier"
Paul Brady, with Andy Irvine, from-- actually, Andy Irvine comes first-- Andy Irvine and Paul Brady. That's the self-titled album from 1976, and the song was called "Mary and the Soldier." Now, as I mentioned at the start of the show, you know yourself that today is February 5. Did you know, however, that today is National Weatherperson's Day in the United States? And did you further know that it is so designated because it's the birthday of John Jeffries, one of the first weather observers in these here United States, who took daily measurements for 42 years, beginning in 1774. In honor of the occasion, here's a song from the Saw Doctors about the joys of living in the Irish climate. The Saw Doctors: "Will It Ever Stop Raining"
That was the Saw Doctors, who are, I understand, making plans to head over here to the States as they do every February/March, for you-know-what. I heartily recommend that you go see them; they're an awesome band to see live; lots of fun. As much fun as that sounded, imagine how much more fun it would be in a big crowd of people, singing along. Next up I want to dedicate a song to my beloved mother, Carmel, who's celebrating a birthday-- a very low-numbered birthday, let's say-- this Thursday. If you've read the liner notes to my album American Wake, you already know that my Mom came over here from the County Kerry in 1963, which means that next year she'll be celebrating her 50th year in the United States, which is going to freak her out pretty badly so I'll stop talking about it now, in case she's listening. This is a tune called "The Fisher's Hornpipe" from an album called Appalachian Journey; it's one of those tunes that it seems everyone wants to claim. It's certainly got a strong presence in Appalachian music (thus the album title), but it's also part of the Irish trad canon. But, hey, there's no point in a fussin and a feudin over this; let's just enjoy it, especially in the hands of Yo-Yo Ma on cello, Edgar Meyer on double bass, and Mark O'Connor on fiddle. Yo-Yo Ma-Edgar Meyer-Mark O'Connor: "Fisher's Hornpipe"
Once again, that was Yo-Yo Ma, Edgar Meyer, and Mark O'Connor, doing "Fisher's Hornpipe," from their album Appalachian Journey, which was released in the year 2000. Now, next up: Natalie McMaster. She is a phenomenal fiddle player from Nova Scotia. She's apparently a cousin of Ashley McIsaac, whom you may also know as another fiddler of some renown. I just recently found out that Natalie was born in 1972, which means she was just a wee babe of 24 years when she released the album where this next tune is found; the album is called Compilation, and the tune is called "Capers Jig." As I said, she was 24 when she released it, and as a musician, when I hear things like that I think immediately of Tom Lehrer's comment (I'm paraphrasing a little bit) that "When Mozart was my age, he'd already been dead for 10 years." This is the remarkable Natalie MacMaster performing "The Capers Jig," on WDVR 89.7 FM. Coming up: A brainteaser from Roger Ebert. But first, these messages. Sean Keane: "Farewell to Erin and the Wheels of the World"
Good morning! And welcome again to Celtic Sunday Brunch-- today we'll call it "Celtic Super Bowl Sunday Brunch"-- on this fine Sunday morning, February 5. This is day #36 of the year 2012, and a leap year, if you needed reminding. And if this is the first Sunday of the month, I must be Patrick Clifford, and I'll be hanging out with you today until about 1pm. We opened today's program with a set of reels from the Chieftains' fiddle player, a fellow by the name of Sean Keane, and that came from his own solo album, titled "Gusty's Frolicks," and released in 1975. The names of those reels are "Farewell to Erin" and "The Wheels of the World." So, as I did the last time we were here together, I've got my Facebook page open and my Twitter feed open-- so by all means head over to facebook.patrickclifford.com or twitter.patrickclifford.com and drop me a line. You can also reach me by email here at the station until 1pm at host@wdvrfm.org. Now, if you listened to my previous show, on New Year's Day, you may recall that we heard from listeners from as far afield as Pittsburgh, Pennsylvania, and Dunboyne, County Meath, in Ireland. Well, I cannot contain my pleasure in reporting that today Celtic Sunday Brunch is reaching at least one additional continent. Yes, you heard me: I said "continent." Anyway, our friend in Mtubatuba has asked to hear the song that inspired the name of her boat, namely "Nancy Spain." And, really, how could we refuse a request like that? 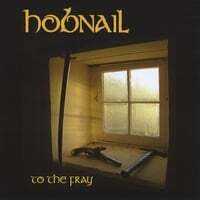 Here it is, Nuala, performed by the man himself, Christy Moore. That was Christy Moore, doing a live version of "Nancy Spain," a song that he made famous, written by... Barney Rush, from Scotland or the north of England. That was Beannacht, and FYI Beannacht will be playing at the Hunterdon County Library headquarters on March 14. The number for more information on that show is 908-788-1434. You can also find Beannacht on Facebook. That's spelled BEANNACHT, and that is the Irish word for "blessing," and their album is Gra na Firinne, which is Irish for "Heart of Truth." Since my Gallant Darling went far away. And no news is told of him - alas. Since my my lively boy went away from me. Now, a bit of a dustup, a kerfluffel, a donnybrook, followed the release of the recording that we're about to hear, with folk purists and Irish nationalists questioning the appropriateness of an Englishman singing such an iconic Irish song. But, hey, the English are for the most part as Celtic as anybody, especially the ones from the northern mining towns like Newcastle-upon-Tyne, where this singer is from. The singer is Sting, he's accompanied by the Chieftains, and the song is called "Mo Ghile Mear." The Chieftains: "Mo Ghile Mear"
Once again, that was Sting and the Chieftains, performing "Mo Ghile Mear." Now, as I hope most Celtic Sunday Brunch listeners know by now, I'm not only a fan of this music that we all love but also a purveyor-- that is to say, a musician. When I started telling people that I would be hosting this show, the first thing that many of them asked was "will they let you play your own music?" Well, the short answer is: Yes; actually everyone has pretty much encouraged me to do so. But the longer answer is: There's lots of other music out there I want to share with you before I sink into shameless self-promotion. That said, I do take requests, so if you really want to hear my stuff, let me know and I'll think about it. At 3 p.m. on Sunday, February 26, Spruce Run Lutheran Church in Glen Gardner NJ will host a concert of traditional Irish music to raise funds for the church's Benevolence program, which supports charitable causes. Donations of food will also be collected for the North Hunterdon Food Pantry. Fundraising will also include sales of Irish-themed crafts, free-trade products, CDs, and other items. Music will be performed by folk musicians well-known in the Hunterdon County area: Patrick Clifford (we know that guy), Randy Decker, Peter Kane, Annie Stewart, and Mark Stewart. Seating is limited. Tickets are $15 for adults and $12 for seniors and teens. For an additional $5 per ticket, reservations can be upgraded to sponsorship, which includes priority seating and a listing in the event program (ooo!). The suggested donation for children under 12 is $3, or a gift of non-perishable food for the Food Pantry. For further information, for reservations, or to help sponsor the event, please call the church office at 908-537-4824. Regardless, back to the subject of playing my own stuff. 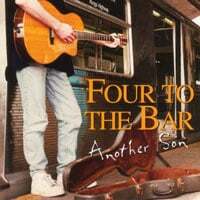 I thought that maybe a good compromise would be to share with you a track from my old band, Four to the Bar. And then I thought that maybe an even better compromise would be to play Four to the Bar covering a song by folk legend Phil Ochs. 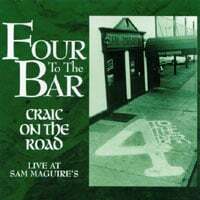 So here's "I Ain't Marching Anymore," from Four to the Bar's live album, Craic on the Road, right here on WDVR, 89.7 FM. 4 to the Bar: "I Ain't Marching Anymore"
So who's psyched for Sunday? It's going to be a Super time, and everyone who's lucky enough to be in New Jersey is in for a Giant thrill. You know what I'm talking about-- do the wave and say it with me: Celtic Sunday Brunch! That's right: Don't forget to tune in, either by radio or Web streaming, this Sunday at 11am ET (-5 GMT), when I'll again be hosting Celtic Sunday Brunch on WDVR 89.7 FM. I've got a great show lined up, looking forward to sharing it with you. I'll again have my Facebook and Twitter pages open, so drop me a line! Also, musicians/bands: I'm keen to play new music. Contact me about yours. They've just put out the call for this year's lineup. If you missed it and want a second chance, or if you were there and want more, please contact the Hunterdon Parks Department and put in a good word for me. Here's their Facebook Page, website, and a PDF press release that includes the relevant email address. You'll recall that I provided music for a Robert Burns Supper on Sunday, January 29; well, it was even better than last year's, and that was the best I'd ever been to. Thanks to Sergio Seijas and the extraordinary Spain 92 staff, and St. Ann's of Hampton Pipes and Drums, for a wonderful event. This was their second Burns event; I'd be shocked if they weren't planning a third for 2013. Give Spain 92 a call at 908-704-9292 to find out. Still time (but barely) to get some live music for your St. Patrick's Day house party or group function. Contact me; we'll talk. Last October, before I signed on to host Celtic Sunday Brunch, I did a fundraising concert for WDVR (more about that). Well, I finally finished editing the audio and video. Here are the results. Celtic Sunday Brunch is a two-hour radio program that broadcasts every Sunday from 11am to 1pm ET (GMT -5), on the air at 89.7 FM and streaming live at wdvrfm.org. I host the first show of every month. I'll have Facebook and Twitter open during the show; feel free to send thoughts and requests! Free (Legal!) Download: The Narrowbacks are a new-ish band from Pearl River NY, and friends of mine. I haven't yet had the pleasure of seeing them live, but I understand they're blazing a path from the Bronx to the Catskills. Their first recording, an EP, is available for free download. Check it out. The Jane Goodall approach to joining in with an Irish Session: Oh, if only it weren't so true.... Thanks to Linda Jeffers for this link and the next. Till next time, slán agat. Source for heading banner photo: http://www.flickr.com/photos/perspective/33330283/. Ewan McColl was one of the great folk songwriters of the last century. He also wrote "The Shoals of Herring" for a BBC show about fishermen. The interesting thing is that the song is so masterful, so timeless in its theme and expression, that people immediately began insisting that they remembered their grandfathers singing it. P.S. : If you like this, don't forget to click the thumbs-up icon and share with anyone else who may enjoy it. Thanks!